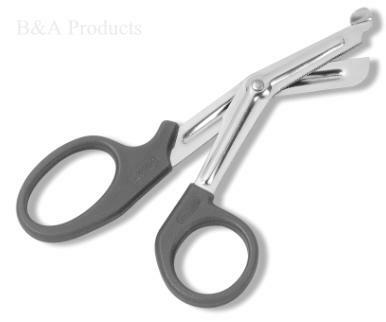 7-1/2" and 5-1/2" EMT bandage scissors. Designed to cut through the toughest material, these stainless steel utitlty scissors have a serrated blade and heavy plastic handles. Standard stock color is black.